I’ve recently merged my mini book reviews into my “Reading, Watching, Listening, Doing” posts that I’ve been writing each month – it seemed to make it easier to write one big update post monthly. That was until I joined the library. I started listening to What Page Are You On? – a podcast that talks all about books and reading – on Charlotte’s recommendation recently and got hooked. As a result, I realised I’d added approximately sixty thousand million books to my to-read list. It wasn’t until I searched one of these books on Amazon that I realised how much this habit was going to cost me. Generally the books I read are proof copies for review from Netgalley – I’m really lucky in this because I don’t have to spend much on books, but it means I’ve been spoiled, and so spending money for books isn’t something I really budget for. I thought I’d try something new. Charlotte had talked about how awesome joining the library was; another of my friends had mentioned it before; and I used to use the public library in Newcastle all the time. When I was sick of studying in the uni library, wanted a break but still wanted some quiet, I went to the public library. It’s a beautiful building with views across the city, plus it had a huge range of books, so I loved wandering round there picking out new things to read. 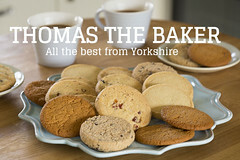 But when I came back to Yorkshire, I got out of the habit since I didn’t have a North Yorkshire library card. So I took the plunge. I was really nervous about going into the library in case I did something wrong, but I managed to sign up online then literally just had to go to the desk to pick up the card. Okay, it did get a little more confusing when I tried to check out the books and the machine wouldn’t let me (apparently the lady on the desk hadn’t ticked the box she needed to tick when I picked up the card! ), but it was quickly sorted and I was on my way with 4 books in hand. And that’s how we’ve reached this point of the story – I joined the library, was really excited about the 4 new physical books I had to read, read them a bit too quickly, then went to return them and came out with 4 more. On top of other books I had to review. And hence why this is a separate post this month – because I have 8 books to review, eek! 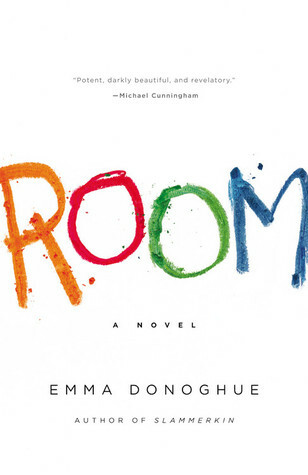 Plot: Told from the perspective of Jack, who has just turned 5, Room is exactly what it says it is: a room. It’s all Jack knows. He and his mother, “Ma”, live alone in Room, where the world he sees on the TV isn’t the real one, only the things they know in Room are real. His mother was kidnapped as a young women has been kept alone in Room ever since – a soundproofed, converted shed in “Old Nick’s” back garden. My thoughts: I honestly loved this book. It was harrowing to read but was so touching and very clever. I’ve seen reviews criticising the way that it’s written from Jack’s perspective, as obviously it’s very childish and framed in an odd sort of way which makes for more difficult reading, but for me, this is what made the book so brilliant. Putting yourself into the mindset of a young child who knows nothing else in the world except Room is an experience that not many imaginations could pull together, so I think it’s been brilliantly done. I love the relationship between Jack and Ma – she has done absolutely everything she can to give Jack the most normal upbringing possible, enforcing a routine on him and incorporating play, education and exercise as best she can in a tiny space, but yet still trying to give him the best understanding she can of the situation they’re in. How can he understand a world he’s never experienced? The novel has been made into a film, which I haven’t yet seen but I’ll definitely have to, but I would highly recommend the book. Library book number 2! I’d been meaning to look this up for a while, and there it was – sat on the “Recently Returned” shelf! I can’t really give this a plot, but it’s essentially a series of “articles” – you might say, maybe essays, columns, thought processes – put together by Ruby Tandoh, contestant in 2013’s Great British Bake Off. Since finding fame, she’s become an authority on eating well, but not in the way you might know it today. Instead of giving a series of rules or guidelines on what to eat, when to eat, how to diet and so on, Ruby’s commentary is on experiencing food and eating, developing a better relationship with what we put into our bodies, whether that’s for our bodies or for our minds. Her words are refreshing to read and really interesting. There are parts on exploring your mental relationship with food; sections on how different cultures eat differently; sections on how foods evoke memories; parts that really detail the process of eating and cooking. I was nervous about this book for a couple of reasons. When I watched Bake Off, Ruby reminded me of someone that I didn’t want to be reminded of, to put it plainly, so I wasn’t a big fan of her. It was nothing personal, just one of those things! As a result, I wasn’t sure whether her writing might bother me. I was also nervous because I’ve previously had a complicated relationship with food and eating (haven’t we all?! ), so I worried that it might cause me to think too in depth about it and set me off on bad trains of thought. Fortunately, this book isn’t like that at all. It takes food and eating back to the basics – for nourishment but also for enjoyment. Reminding us why we like to eat, and also why we have to eat; that food sometimes makes you feel better in the long run, but also sometimes the fact that you just need an Indian takeaway to feel better for an hour or two. 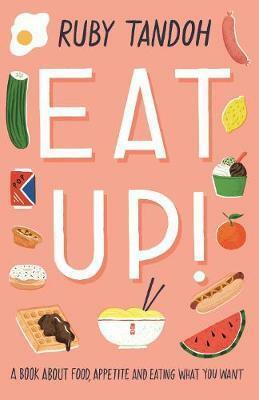 And Ruby also explores her own personal experiences with food – telling us her memories, her struggles. I think many people will be able to relate to this, and for me, it’s helped me find a more healthy mindset to think about food and eating, reminding me to take the time to experience and enjoy it. On top of that, it’s written beautifully – like a poem in parts, where she describes the purchase of a creme egg or the cooking process behind a favourite meal, but also blunt and informative in others. Library book number 3! Picked at random off a shelf because the cover was pretty and the description sounded good. Plot: Carys and Max have 90 minutes of air left. 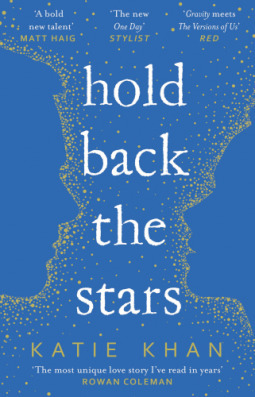 Floating in space with only each other, they look back onto the “perfect” world they left behind, one in which young people are not allowed to fall in love or settle down early and ruin their chances at any sort of life if they get pregnant too early. My thoughts: This was a simple premise that was really well done. It errs on sci-fi, with the world in a not so distant future where society is entirely different. Instead of going into too much depth on the “stuck in space” aspect of the story, as I thought it might do, it instead delved into the relationship between the two characters who had come together on earth and were floating towards their deaths in space, looking back at their lives through flashbacks to their first meeting to the point they were at presently. I really enjoy dystopian future books, and this one also had references to Shakespeare which gave it another depth for me. On top of that, an entirely different way of society working for a “better world” was really interesting. Another book I’d recommend! Library book number 4! Also picked at random because it sounded interesting. Plot: Malin is a 15 year old girl who lives a pretty average life. 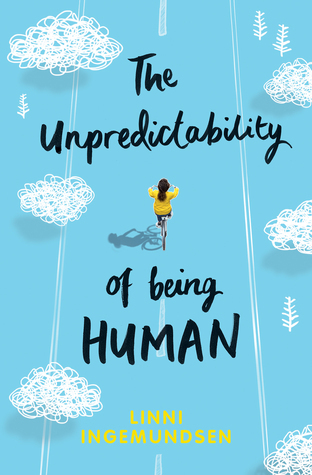 Her dad gets angry a lot, her mum drinks all the day, and her new friend is someone she met when she was duped into shoplifting – she has problems, but in the scale of things, she’s okay. The plot is limited as it follows her journey through a difficult time. My thoughts: While this was a nice, easy read that was fun in parts and flowed well, it wasn’t the most amazing book I’ve ever read. It made for something quick to pick up and flick through but wasn’t entirely captivating. Personally, I found that Malin acted more like a younger character than she was – and that’s coming from someone who, as a young teenager, was pretty naive – and as a result, she wasn’t very relatable to me. It felt like a coming of age novel that wasn’t particularly deep, but was still interesting, particularly in the parts that were specific to Malin’s culture in Norway – it was refreshing to read something out of the usual landscape of the UK or US for a coming of age book. I’d read that it was similar to the Perks of Being a Wallflower, which is a favourite coming of age novel for me, and I could see that, but I’d also argue that it didn’t have that same spark. It was good, just not amazing. Plot: Zahan is something unusual – in a world where people’s lives are mapped by a birth chart decided by the Gods, he is born without one. And he also has a unique skill – the ability to change reality based on his lies. Or at least, reality for others. When he and his friend Porthos, who has a problem of his own, discover a colony of “hatadaiva” (the ill-fated) in a world they call Vidroha, a hinterland in a forest of outcasts, the web of lies he has created starts to pull in around him – can he use it for good or is it destined to always be something dangerous? Meanwhile, he is watched over by the Greatest Astrologer That Ever Lived (the Second), Narayan Tarachand, from afar, trying to solve the riddle that is his life. My thoughts: Not a library book! In fact, this is written by my best friend’s best friend! I’ve met Tashan before and she is a wonderful woman with an amazing imagination and honestly BEAUTIFUL writing style. I try not to give “marks” to books of friends because I feel I can’t really be impartial, but honestly this was brilliant. Being set in India, a place I’ve never been or even read all that much about, I worried that I would find it difficult to relate to or to picture the places described. But thanks to Tashan’s spellbinding descriptions, the places and characters came alive. I did at first struggle to grasp a couple of concepts of a culture that was entirely different to my own and in a different era, but the story and the words stand for themselves to create something that utterly captivates you. The scenes swapping between the world of Vidroha and those set in the colonies was seamless, but they clearly stood apart from each other. The language in Vidroha brought to mind dark carnivals, sitting on the edge of danger – almost like the twisting words were the twisting vines of the jungle themselves, but also creating the net that the whole novel ensnares you in as well as the net Zahan finds himself tangled in with his lies. 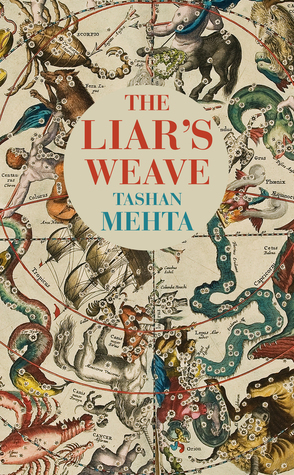 As you can tell, the writing is what really did it for me with this book – I was just utterly in awe of the way that Tashan could put together words in such a flawless way. As I said, I find it difficult to review books by people I know, but I can honestly say that this one was amazing. It’s a little tricky to get hold of in the UK, but if you can find it, I highly recommend it. Library book number 5! My second bulk of library books seemed to have a ghostly, haunted theme interestingly! Plot: A group of guests come together one Christmas Eve, to tell ghost stories as is the custom on this night. The stories range from sad and melancholic to bizarre and strange. This book also incorporated a selection of other stories by Jerome K. Jerome. My thoughts: I picked this up not knowing anything about Jerome K. Jerome. 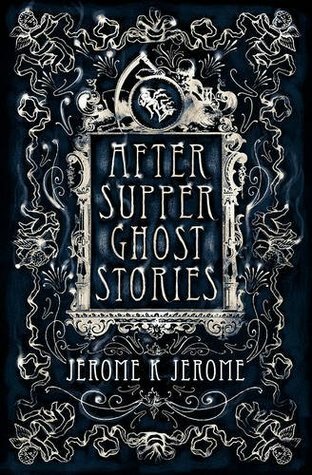 The cover looked pretty modern, so I assumed it was going to be a collection of short ghost stories – the kinds I used to buy in visitor centres on family holidays, such as “Ghost Stories of New England” – oh yes, my sister and I really bought ALL of those! In fact, Jerome K. Jerome died in 1927, so it’s not exactly modern! Nevertheless, I like old books, so I read on. The story was interesting and entertaining, as the guests get more and more drunk, but it really wasn’t what I was expecting. It was filled with wit and I get the feeling this is supposed to be more humour than actual ghost story, so it was a little bit disappointing. And on top of that, it was short – very short! I thought I was just about to get some proper ghosts when all of a sudden, it ended. The other stories were similar – I actually really enjoyed a couple, but the style of this author appears to be rambling off topic before coming back to the story at hand, and that just didn’t quite sit with me for the most part. Plot: Newly widowed Elsie is sent to live in and manage her recently deceased husband’s country home, but her arrival isn’t as smooth as she would have hoped. 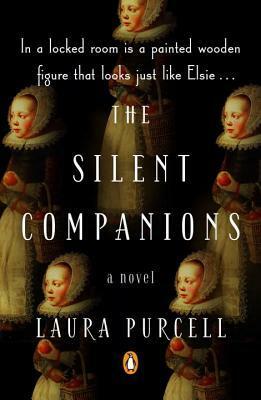 The villagers are hostile, the servants are resentful and she only has her late husband’s cousin as a companion – a woman who she describes as being plain and boring. But these aren’t her only problems – the house itself and the painted figures, the “silent companions”, within are haunting her. My thoughts: I actually heard about this book from What Page podcast (yay, my first one from there!) then just happened to spot it on the library Just Returned shelf – excellent! I love a good gothic novel, so this really appealed to me and didn’t disappoint. I felt very on edge throughout the entire book and actually terrified at others, which is exactly what I wanted from this book, so I was very glad of that! The writing was creepy, the atmosphere was eerie, and it had a fast-paced storyline that still managed to be filled with tension. On top of that, you’re never quite sure whether to believe Elsie’s story – is she seeing things? Is it really happening? Basically an excellent book wrapped up in a neat little package for me – not a lot more to say! 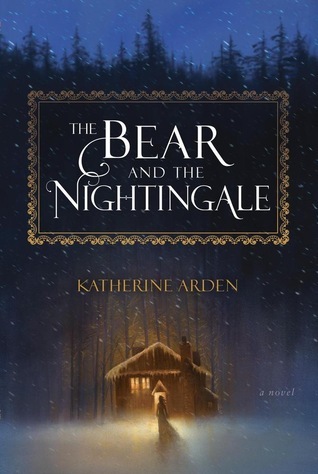 Plot: Set in the Russian wilderness, The Bear and the Nightingale is a story that merges folklore and mythology with fairytales and magic. Vasilisa, also known as Vasya, is left motherless at birth, but brought up by her father, her brothers, sister and nurse, spending winter nights huddled atop the giant oven to keep warm, and the rest of the year running wild in the woods. She thrives on the fairytales she is brought up hearing. Her father comes back from Moscow with a new, strange wife in tow, and soon after, a new priest comes to their village. Persuaded by the new wife, the priest begins to cast out the spirits that the people have always believed in, but this sets events in motion that can’t be stopped. Vasya, as the only one who can see and trust the spirits, needs to save them, but that’s at the detriment of her position in the society she’s grown up in, as they believe her to be a witch. My thoughts: I’ve always loved books set in isolated landscapes, particularly those filled with ice and snow – I’m not sure why! And so this story immediately appealed to me. Throw in a dash or two of fairytales, folklore and ancient mythology, and I’m sold. The writing was hypnotic and I felt completely immersed in the story. In fact, I’m still thinking about it now! There were a couple of points in the middle of the book where it ever so slightly dragged, but I think that I felt that way because I could feel it was getting towards points of heightened tension and I wanted to be there already! I loved the characters, the folklore and how it intertwined so naturally with the lives of the people in the story, even the fact that it appealed to the feminist side of me – Vasya was constantly being told what she, as a girl and a woman, could and could not do – at times, she was tied to either being married to someone she disliked or going to a convent. I also loved learning more about Russian folklore and beliefs, as well as picking up a few Russian words. This is one that I almost expected not to like as I picked it up but fell totally in love with, highly recommend.